Steven Amstrup, spokesperson for Polar Bears International, has ramped up his “save the polar bear” rhetoric over last week’s nonsense. 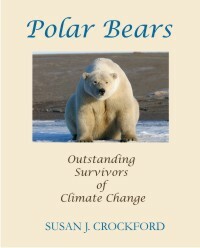 “…Amstrup said greenhouse gases created by humans threaten future generations of bears by threatening their ice. He said he likes to compare climate change’s effect on polar bears to the infamous Titanic ocean liner. Amstrup really wants people to believe that all the polar bears in the world will die some day, all at once, in some mega ice-loss catastrophe! This is absolutely ridiculous, fear-mongering hyperbole — no models predict all bears will die, even given their worst-case scenerio, see yesterday’s post. On top of that, we now know that many of the critical assumptions those models are based on are wrong, in part due to data collected by polar bear biologists themselves (see summary here and Monday’s post, “Eemian excuses: the warm was different then, polar bears were fine”). The fact is, freeze-up was not earlier in the fall than average this year, and neither was mid-summer breakup (see yesterday’s post). Both were about average last year as well. 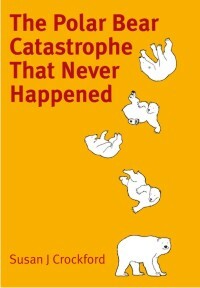 The earliest breakup date in recent years (since 1991), by the new method devised by polar bear biologist Seth Cherry, was June 17, 1999. Breakup has not been that early since. As far as I can tell, breakup has not occurred in June since 2007. If there was a trend in breakup dates before, it’s doubtful if there is one any longer. Impartial sea ice agencies like the Canadian Ice Service don’t define these events, polar bear biologists do. So if polar bear biologists don’t publish the data, we don’t see it. Keep in mind that bears leave the ice about one month (average 28.3 days) after “breakup” occurs (when ice in Western Hudson Bay declines to 30% coverage) and they leave the ice 2-3 days (average 2.5) after freeze-up in the fall (when ice in Western Hudson Bay reaches 10% coverage), discussed previously here. It is perfectly normal for bears to go without food (called “fasting”) for several months during the summer. The polar bears of Hudson Bay routinely go 4-5 months without eating each summer – this is normal for them. 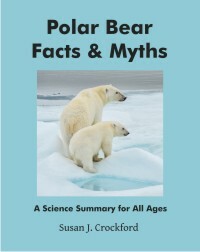 This entry was posted in Advocacy, Life History, Sea ice habitat and tagged Amstrup, Churchill, climate change, polar bears, Polar Bears International, save the polar bear, Titanic, western hudson bay. Bookmark the permalink.